Carpenters are masters of woodwork, with their trade going back hundreds of years. Interested in starting or furthering a career in carpentry? Check out these courses from top providers nationwide. Who should take carpentry courses? Are you good with your hands? Think you might enjoy a physically demanding job that also emphasizes communication skills? You might be a great candidate for a career in carpentry. Carpentry is one of the oldest skilled trades in the world. For ages, people have been working with timber to create worlds around them. Carpentry is the skill of constructing things out of timber, although other materials are used today. Are you interested in diving into this exciting industry? Anyone who is interested in starting a career in carpentry or those who just want to refresh or further their skills should take a carpentry course. Carpentry courses come in a variety of levels that are suitable for all sorts of experiences. It can also be a good idea for someone who is interested in carpentry but unsure of whether or not they want to commit to the career to take a course as an introduction. Carpentry courses can also prepare you to take the exams that are essential to get certified to work as a master carpenter. However, carpentry courses need not only be for people who want to become master carpenters. If you are interested in learning carpentry skills for your own home improvement needs, look for courses with DIY components. These classes may be geared toward the casual carpenter and not the professional. What skills do you need before taking carpentry courses? To begin a basic carpentry course you should have a solid foundation of English and math skills, as well as a genuine interest for the trade. Only once you have a carpentry foundation will you be able to take more advanced courses. You can determine the level of a carpentry course by its NVQ (National Vocational Qualification) level. There are three levels of NVQ, and your level will signal what you're capable of to a future employer. What are the aim of carpentry courses? Carpentry courses aim to prepare you to become a master carpenter. A carpentry course could be a good idea to do simultaneously as you work as an apprentice to get experience in the field. 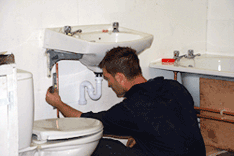 After you get experience, you would ideally work toward getting an NVQ diploma (levels 1-3). Once you get an NVQ diploma, you can get a CSCS card, which stands for Construction Skills Certification Scheme. These cards are typically required by contractors to work on their site. This is so they know what level of training you’ve held. Accredited courses will allow you to be certified by City & Guilds, the largest accreditation body of vocational training in the United Kingdom. What will I learn in carpentry courses? Classes will often have assessments as well and will help you build a portfolio of work.